When I’ve told people that I’m working on a project about walking with prams a couple of them have asked if it’s like buggyfit….. well no it’s not. 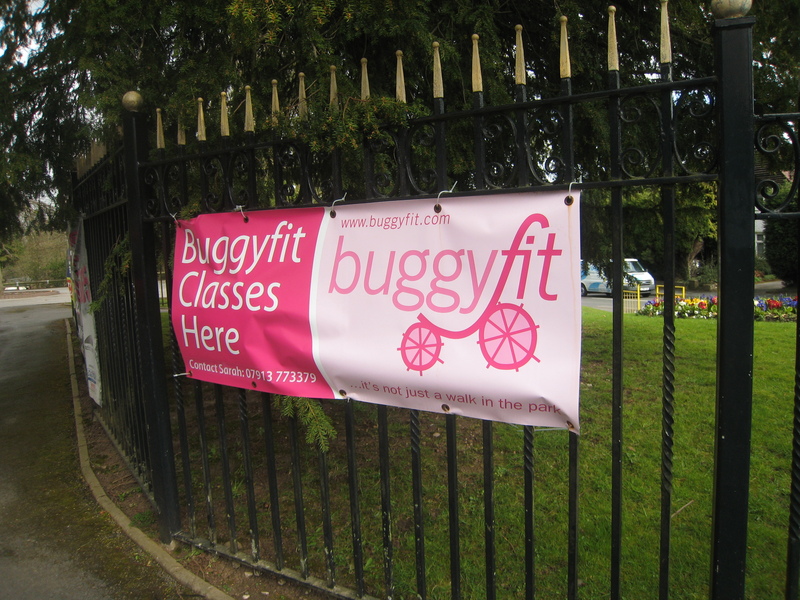 Not that I think buggyfit (and other similar exercise programmes that are designed for women to take part in with their babies) are a bad thing, it’s just that it’s a bit more complicated than that. Yes I think that one of the good things about walking with a pram is that it’s exercise (as I do with any kind of walking) but it isn’t at the top of the list of things that I want to focus on – it’s more of a happy byproduct. In my everyday life of walks with a baby/toddler in the pram I don’t think I’ve once (in two and a half years) decided to go for a walk purely for the purpose of exercise. Sleep – apart from when he was tiny, and a few terrible weeks when the lift in our block was broken, my son has done pretty much all of his napping in the pram. This means I go out and walk him to sleep, and have done so once or twice a day for the last two and a half years (that’s at least 1000 nap walks)………..
in fact the first 2 on the list have usually been conceived of in combination with the third i.e. ‘if I walk to swimming he’ll sleep on the way’, or ‘let’s go for a walk together while the babies sleep’. I guess I’m most interested in asking other people to walk with me to create a shared space, a social space, a space for conversation and for reflection. I’m interested in walks, no matter how short (Lizzie Philps’s walks measured in the number of steps are a great example of a very short, but very meaningful walk), sometimes I just go up and down on the balcony for rocking to sleep. I’m interested in the way that the pram (and the baby in it) change the way that you walk – the reasons for the walks, the routes that you can and can’t take, the way that you experience the previously unnoticed in yourself and in the places that you go. Having just added the NHS logo to the blog banner, as they have part funded the project, I feel I ought to clarify that I’m really not at all dismissive of the potential health related benefits of the work that I’m doing. Since I’ve had children, and especially when I was on maternity leave with my son, I found that what I really needed for my wellbeing (you could say my mental health) was contact with other people. Social space and informal support networks that brought me together with other new parents were invaluable, and made some difficult transitions much easier to cope with. I’m interested in the way that walking can provide a ‘safe’ space for talking, or just being with other people in a more comfortable way than sitting together in a room. This connects with research by the geographer Jon Anderson (and others) on walking and talking as part of a phenomenological research method, finding that it enables participants to access memories, feelings and thoughts more readily that conventional and formal interviews or discussions. There’s also a body of research that shows very clear benefits to new parents (mostly mothers, as they are more likely to take leave to care for their baby, thus being removed from their usual routines, social life and professional connections) in having open space to talk about their experience and the transformation in their lives that a baby brings.